This article about healing through food is reproduced and distributed with the permission of GreenMedInfo LLC. It may come as a surprise to some, especially those with conventional medical training, but the default state of the body is one of ceaseless regeneration. Without the flame-like process of continual cell turnover within the body – life and death ceaselessly intertwined – the miracle of the human body would not exist. In times of illness, however, regenerative processes are overcome by degenerative ones. This is where medicine may perform its most noble feat, nudging the body back into balance with foods, herbs, nutrients, healing energies, i.e. healing intention. Today, however, drug-based medicine invariably uses chemicals that have not one iota of regenerative potential; to the contrary, they almost always interfere with bodily self-renewal in order to suppress the symptoms against which they are applied. 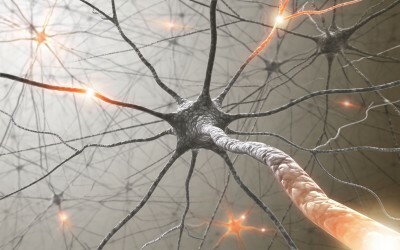 There is another class of nerve-healing substances, known as remyelinating compounds, which stimulate the repair of the protective sheath around the axon of the neurons known as myelin, and which is often damaged in neurological injury and/or dysfunction, especially autoimmune and vaccine-induced demyelination disorders. It should also be noted that even music and falling in love have been studied for possibly stimulating neurogenesis, regeneration and/or repair of neurons, indicating that regenerative medicine does not necessary require the ingestion of anything; rather, a wide range of therapeutic actions may be employed to improve health and well-being, as well. Beta-Cell Regeneration – Unfortunately, the medical community has yet to harness the diabetes-reversing potential of natural compounds. Whereas expensive stem cell therapies, islet cell transplants, and an array of synthetic drugs in the developmental pipeline are the focus of billions of dollars of research, annually, our kitchen cupboards and backyards may already contain the long sought-after cure for type 1 diabetes. The following compounds have been demonstrated experimentally to regenerate the insulin-producing beta cells, which are destroyed in insulin dependent diabetes, and which once restored, may (at least in theory) restore the health of the patient to the point where they no longer require insulin replacement. There are secretagogues, which increase the endocrine glands’ ability to secrete more hormone, and there are substances that truly regenerate hormones which have degraded (by emitting electrons) into potentially carcinogenic “transient hormone” metabolites. One of these substances is vitamin C. A powerful electron donor, this vitamin has the ability to contribute electrons to resurrect the form and function of estradiol (estrogen; E2), progesterone, testosterone, for instance. In tandem with foods that are able to support the function of glands, such as the ovaries, vitamin C may represent an excellent complement or alternative to hormone replacement therapy. Another remarkable example of cardiac cell regeneration is through what is known as fetomaternal trafficking of stem cells through the placenta. In a recent article we discussed the amazing process known as “fetal microchimerism” by which the fetus contributes stem cells to the mother which are capable of regenerating her damaged heart cells, and possibly a wide range of other cell types. Curcumin and resveratrol have been shown to improve recovery from spinal cord injury. Over a dozen other natural compounds hold promise in this area, which can be viewed on our Spinal Cord Injury page. As far as degenerative joint disease, i.e. osteoarthritis, there are a broad range of potentially regenerative substances, with 50 listed on our osteoarthritis research page. Ultimately, regenerative medicine threatens to undermine the very economic infrastructure that props up the modern, drug-based and quite candidly degenerative medical system. Symptom suppression is profitable because it guarantees both the perpetuation of the original underlying disease, and the generation of an ever-expanding array of additional, treatment-induced symptoms. This is the non-sustainable, infinite growth model which shares features characteristic of the process of cancer itself – a model, which by its very nature, is doomed to fail and eventually collapse. Cultivating diets, lifestyles and attitudes conducive to bodily regeneration can interrupt this pathological circuit, and help us to attain the bodily freedom that is a precondition for the liberation of the human soul and spirit, as well. I think it’s absolutely amazing you can indeed find healing through food. How life changing is it that some of the worst chronic diseases and conditions can be potentially cured with something as simple as a spice, herb, or food. In fact this information is nothing short of empowering. When I work with new clients that are trained in western medicine thinking they are often stunned that scientific literature actually supports the use of substances as simple as turmeric or licorice for profound healing. I can tell you any hesitation is often obliterated when my clients start to see the results for themselves. Personally I take the BCM-95 version of curcumin, solvent and hexane-free black seed oil, and whole mushroom (versus cheap mycelium based) lion’s mane mushroom on a daily basis. The benefits and boost to my health have been truly impressive! Now while these foods and supplements are really remarkable, I always have to remind everyone that even with generally safe foods and supplements it’s important to check for any contraindications unique to you. Checking for contraindications is especially important if you are on medications, scheduled for surgery (many natural substances are blood thinners), or have any kind of illness of condition. If contraindications exists make sure to get support from a healthcare professional well versed in holistic and nutritional therapies. That said I wholeheartedly support empowering yourself with high quality supplements and foods that can help your body heal and recover. Original printing: © [June 29th 2012] GreenMedInfo LLC. This work is reproduced and distributed with the permission of GreenMedInfo LLC. Want to learn more from GreenMedInfo? Sign up for the newsletter here http://www.greenmedinfo.com/greenmed/newsletter. IMPORTANT DISCLAIMER: None of the health topics presented on Filtered Family have been evaluated or approved by the FDA. They should not replace personal judgment nor medical treatment, nor are they intended to diagnose, treat, cure, or prevent any disease. Always talk to your physician before including alternative or complimentary modalities. Reading this website denotes your understanding and agreement to our full disclaimer.